As consumers we love Nespresso. As luxury brand strategists we salute Nespresso for outsmarting the best American Coffee companies and beating them at their own game in the fastest growing segment of the coffee industry: portioned coffee. In 1996, Nespresso patented the process of brewing espresso from capsules containing ground coffee. But, North Americans crave larger cups of coffee more so than espresso. Keurig was instrumental in turning portioned coffee into a $4.9 billion market by licensing their K-Cups to major US and Canadian coffee brands including Starbucks that accounts for over 25% of all K-cup sales. 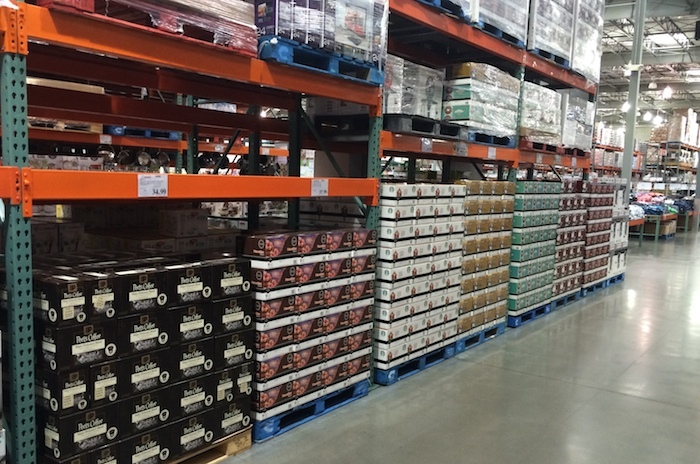 Almost one-half of an isle at CostCo is devoted to selling multiple brands of co-branded K-Cup coffee--IN BULK! But, here is the downside of K-Cups: They rob Starbuck’s (and other top coffeehouse brands packaged in K-Cups) of their primary differentiator as a luxury brand--freshly roasted coffee that you can get only at their coffee-houses. This created the opportunity for a new luxury brand niche: PREMIUM portioned coffee! Nespresso, launched the Viruoline system in 2014 expressly to target upper demographic coffee aficionados in the US and Canada. What makes this machine distinct from Keurig and all others is its patented Centrifusion technology. It brews BOTH coffee and espresso with an enormous amount of crema that significantly enhances the flavor and texture of the coffee. Nespresso, buys only the top 1-2% of the finest coffee in the world--their Grand Cru selection. It is exquisitely packaged; you will never find Nespresso's recyclable aluminum (not plastic) capsules sold in bulk. Their coffee must be ordered by phone or online as a Nespresso Club member. It is not available in stores other than Nespresso's own boutiques. That is how they INSURE THE HIGHEST QUALITY, FRESHNESS AND CUSTOMER CARE! Swiss-made Nespresso trumped the top coffee brands in North America, creating a new luxury niche which they undoubtedly will dominate. As a luxury real estate marketing professional, how can you trump your closest competitors?